We all need a place! For those of you on a tight budget or maybe looking to make lots of friends, but are not into tenting, staying at one of Banff's Hostels might be an option. Other rooms with different bed-configurations are also available. You couldn't ask for a better location for a Banff hostel. 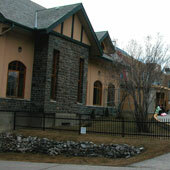 Located right along the Bow River and very close to downtown Banff, the Banff Y Mountain Lodge offers dormitory-style rooms, private rooms as well as family rooms. A fully licensed café, the Sundance Bistro, is also on site. Meeting, training and conference facilities are available at good rates, if you are looking for the location for your next get-together, whether it be a mountain wedding or a seminar. In supporting the Banff Y Mountain Lodge, you are helping the Banff YWCA work towards a healthier community through various projects. The building has recently been expanded to now include 115 (an additional 43) rooms which greatly improves what is so hard to find in Banff - entry-level short-term accommodation. 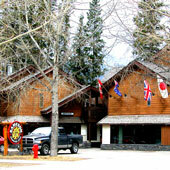 The Hostelling International Banff Alpine Centre is a true gem in the Canadian Rockies. This just isn't your typical Banff hostel! Nothing here has been overlooked. From the activities to the big kitchen, from the free wireless in all guest rooms to barbeque decks, this facility caters to the dorm bed seeker as well as those with desires to spend the night in a cozy cabin. Would you like to wake up to the freshness of the wilderness? 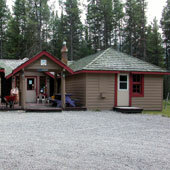 Situated between Banff and Lake Louise across from beautiful Castle Mountain is the Hostelling International Castle Mountain Wilderness Hostel. Here you are close to all of the outdoor activities you have been waiting for! There is something for everyone, like hiking trails for all levels and the beautiful Bow River for fly-fishing enthusiasts! 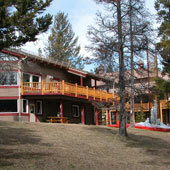 Nearby are the Castle Mountain Chalets which provide a self-serve gas bar and grocery store. Castle Mountain Wilderness Hostel is open all winter, however due to the fact that wilderness hostels are in the wilderness, you should contact the Central Registration Office with any questions regarding your stay. (These rates do fluctuate.) This Banff hostel, located right in the heart of things on Banff Ave, offers you a great way to stretch your dollar and meet other travellers from around the world. 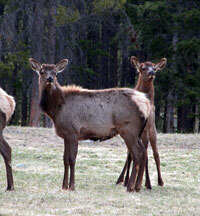 Make sure you take a look at their specials which may help you create the stay in Banff you want. (Example: Samesun Banff's Job Seeker Special!) This is a VIP hostel. Show your VIP Backpackers membership card for a discount at check-in. PLEASE NOTE: The prices stated here were at the time of writing and may have changed. These prices cannot be quoted or guaranteed and are merely given to aid you in the planning process.